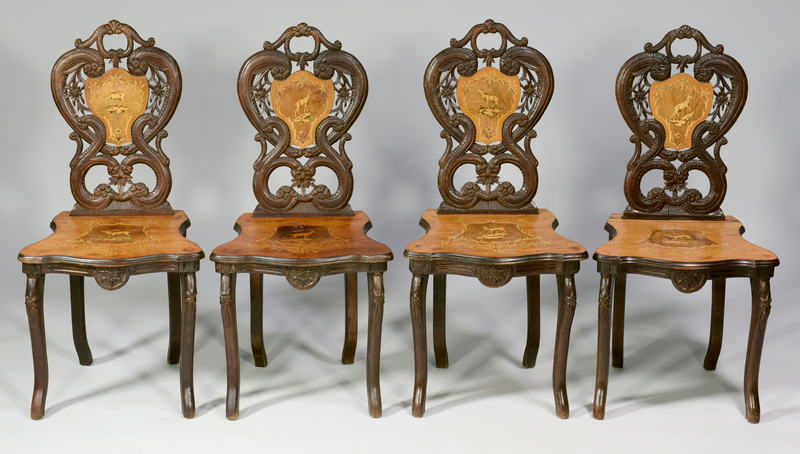 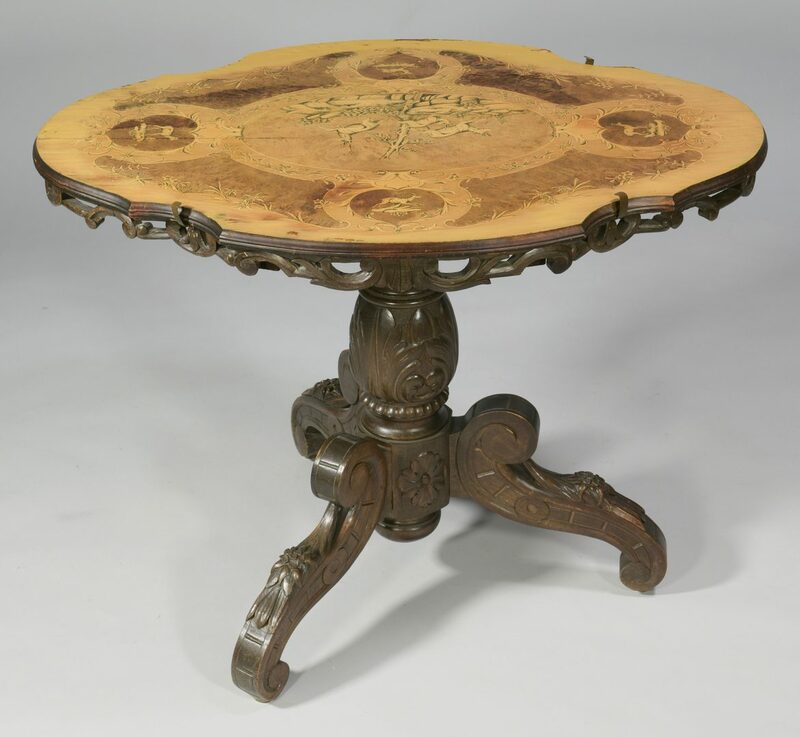 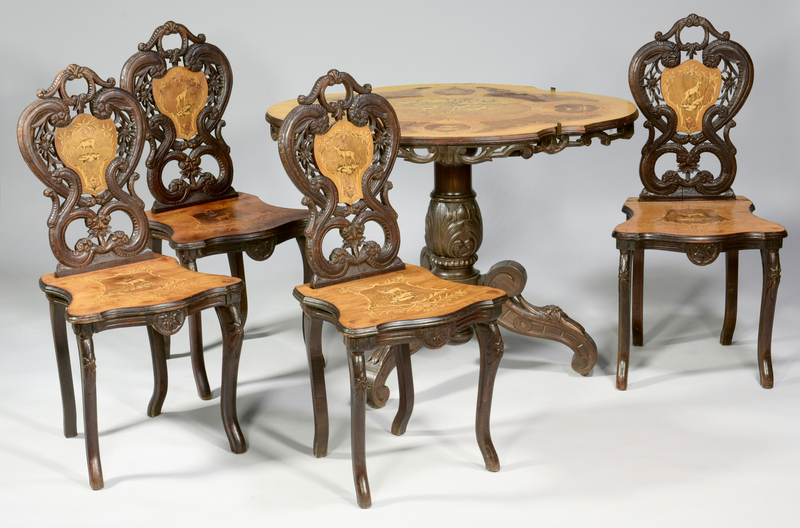 Late 19th century Brienz Swiss, carved inlaid table with four matching side chairs. 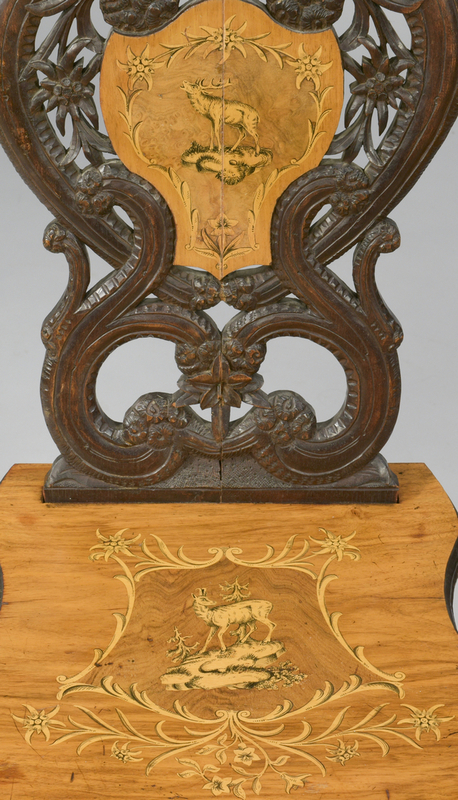 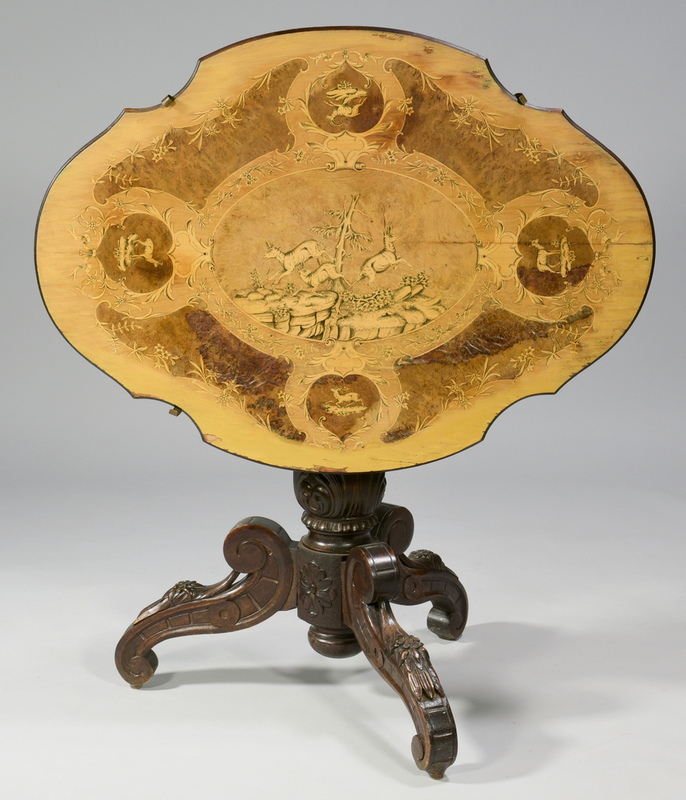 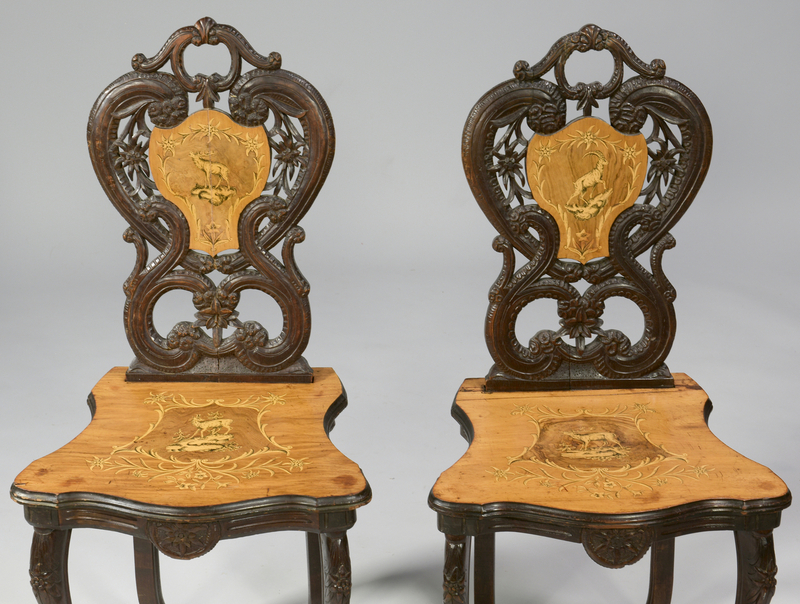 The table having shaped top featuring inlaid landscape decoration depicting deer and foliate designs with conforming glass top and the four (4) side chairs with carved back panels depicting deer in a landscape setting and pierced and carved floral (including edelweiss) surrounds, shaped seats with inlaid deer and foliate designs, carved skirts and legs. 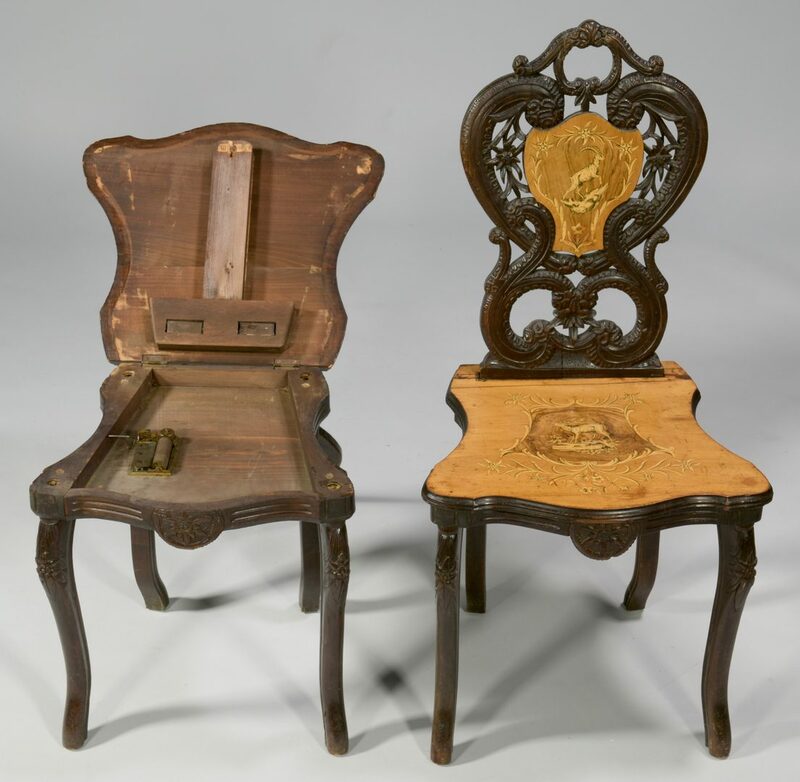 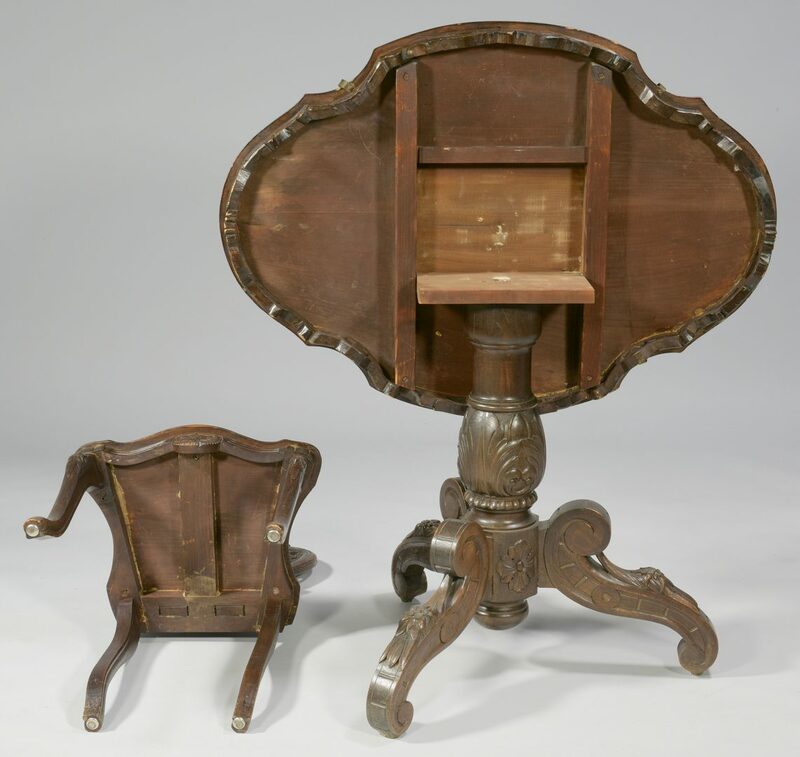 One chair with hinged seat that lifts to reveal music box, marked Swiss, with lever that triggers when seated upon. 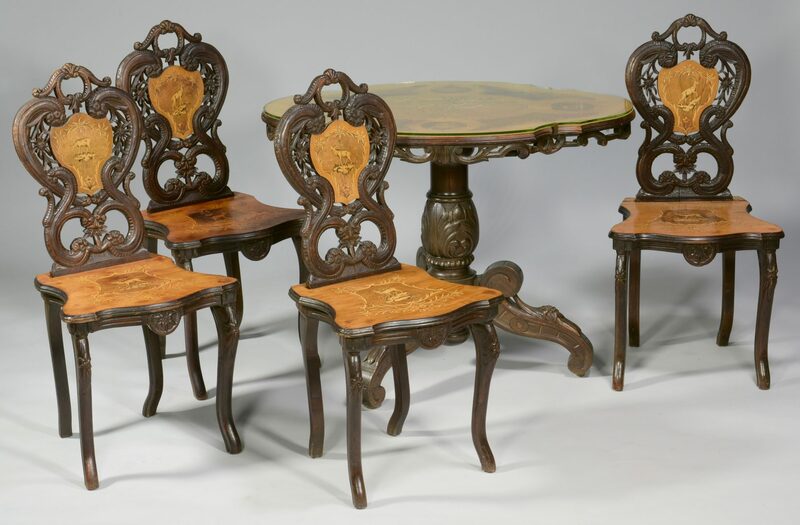 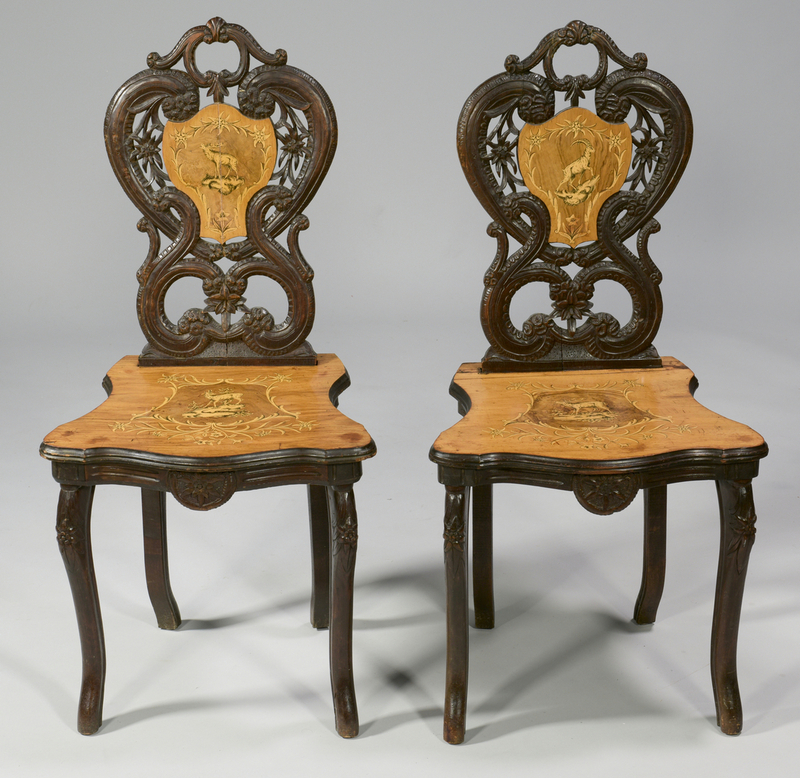 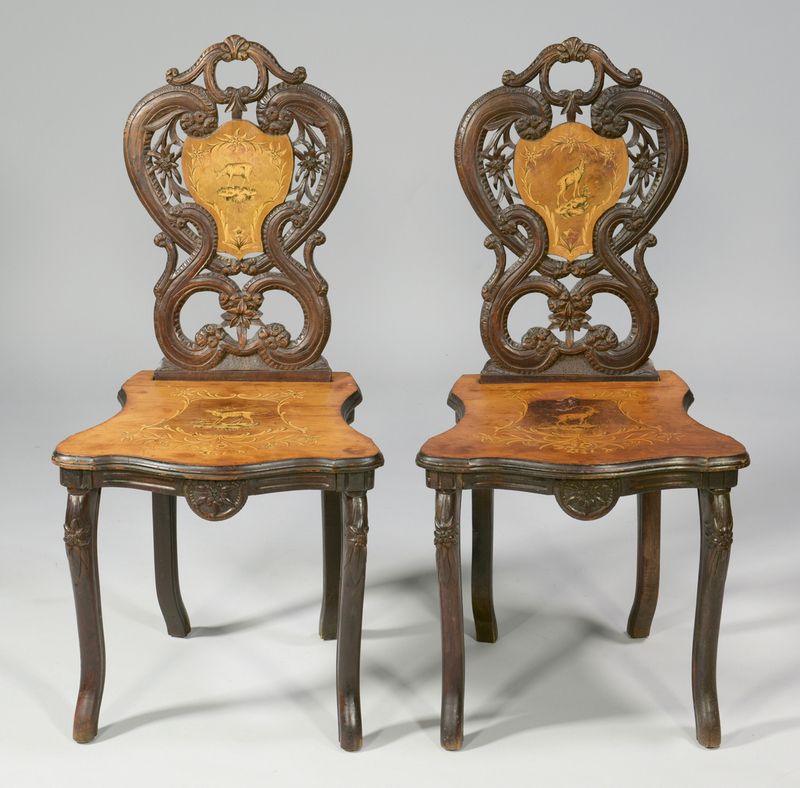 Table – 29 1/4" H x 39" W x 28 1/2" D. Chairs – 37" H x 18"W x 15" D. Circa 1900. CONDITION: Music box chair with split to back panel. 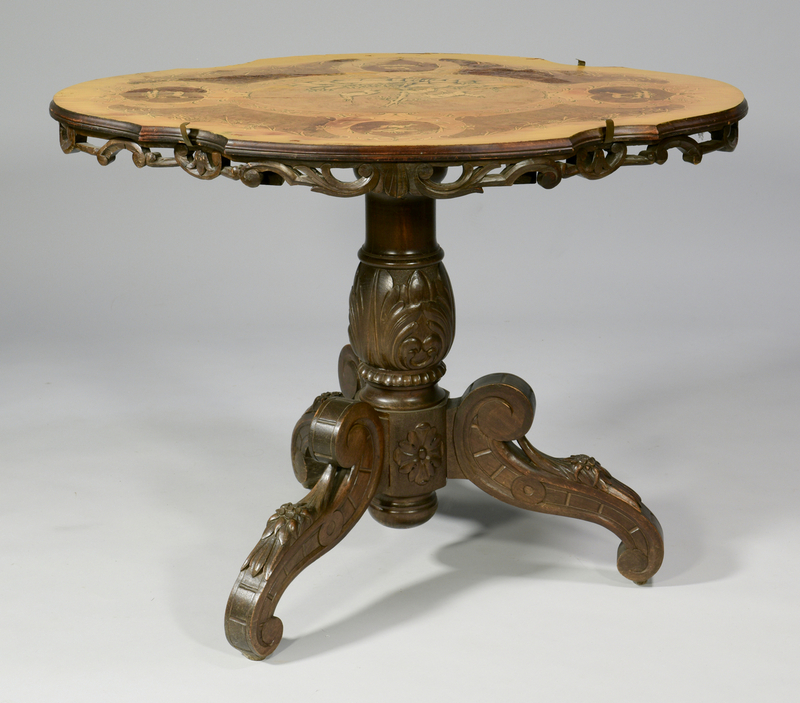 Split to wood top of table with some sun fading, wear to the perimeter, some lifting and loss of veneer inlays. 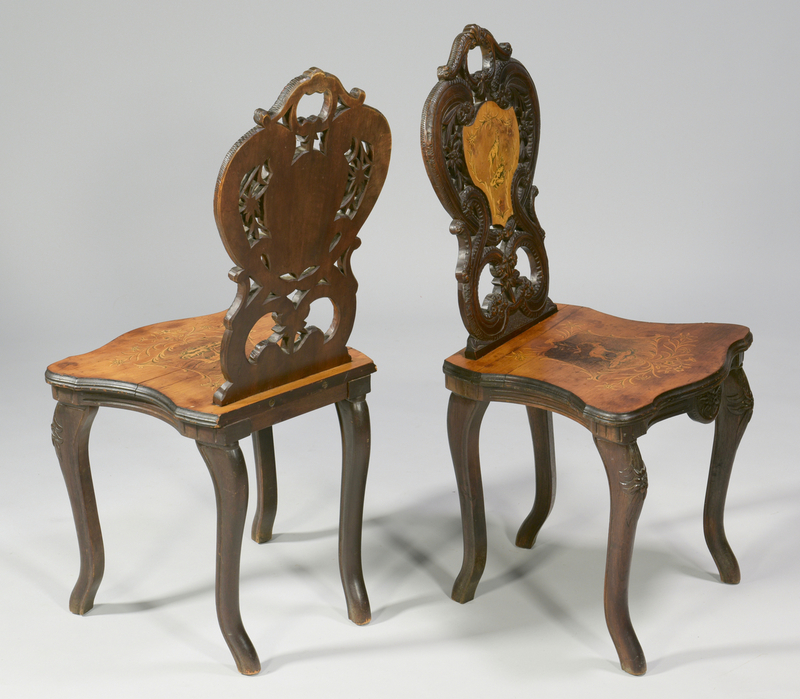 Age cracks to seats of some chairs. 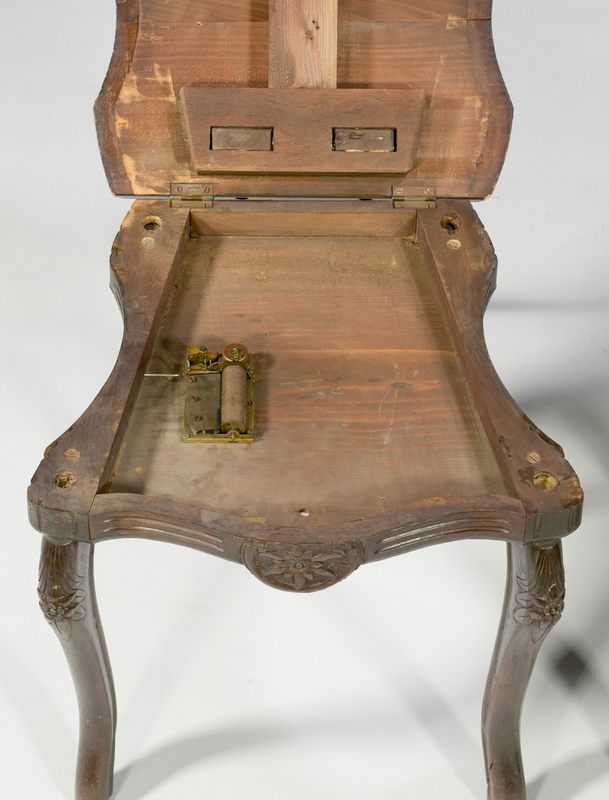 Music box chair mechanism functioned at the time of last inspection.